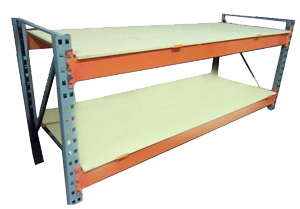 Rackzone stock a range of pre-owned storage and shelving solutions including high quality pre-owned work benches which are in excellent condition. Whether you need a workbench for a commercial or industrial setting or if you require a heavy duty workbench for personal use in your home garage or shed, Rackzone can provide you with just what you need. All pre-owned workbenches have been checked to ensure that they are in perfect condition and are able to provide many more years of useful service. If you are in the market for a pre-owned workbench, Rackzone offer a range of pre-owned heavy duty workbenches. Our second hand workbenches are strong, sturdy and durable and can be used in a variety of different applications. Many of our pre-owned industrial workbench options are also height adjustable so that you can set the height to meet your own requirements and comfort.